Yesterday was May Day. Two words, six letters, lots of meanings. 1. May Day is an ancient spring holiday celebrated by a whole bunch of European cultures. 2. May Day, or International Workers’ Day, dates back to 1886 and the first socialist protests in the United States. 3. “Mayday“, derived from the French “m’aidez” is an international distress call. 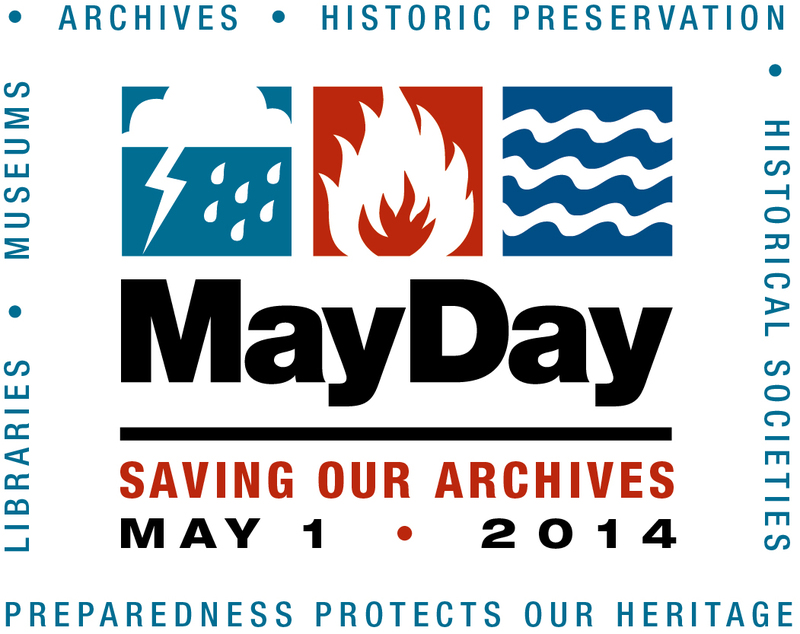 It’s from that last one that the Society of American Archivists and several other groups derive the name of their day of action on May 1st- MayDay: Saving our Archives. It’s a chance for archives and similar cultural institutions to review and promote the steps they’re taking towards disaster preparedness. Repositories like the Smithsonian Archives share their plans on their blogs and social media platforms and talk about the complicated nature of preservation during a disaster situation. And I think it’s great. Disaster preparedness is a really important issue, and highlighting our efforts can provide comfort to the public and perhaps more importantly stakeholders. But let’s jump back to definition number two up there. What about the archivists? (insert archivist/anarchist joke here) Who is standing up for them on May Day? Archives have a labor problem. This isn’t news to anyone in the field. Resources are shrinking as backlogs increase. Retirees are not being replaced, or are replaced with part-time positions. SAA promotes volunteer and intern programs as a way for cash-strapped repositories to get work done at a minimum of labor cost. The National Association of Government Archives and Records Administrators (NAGARA) promotes inmate labor as a possible solution for institutions that need moving or infrastructure tasks done. In most of these cases, it’s not being done out of sheer frugality. The work needs to get done, and if you’ve got no money, willing (or captive) free labor will do nicely. May Day strikes me as the perfect day to work on (with apologies to James Brown) The Big Pushback. Spotlight our amazing archivists and the absolutely vital work they do, and how much more they could do with proper funding. Use this day to talk about the labor issues we face, and how the repositories that have come to rely on unpaid interns and volunteers can do better. We should talk about the slight of hand archives students are subject to before they set foot into their programs. Incoming archives students (anecdotally) are getting younger and less experienced in the profession- they need to understand the labor market and what it’s going to take for them to get a job. I see signs of SAA coming around on these issues. Danna Bell’s most recent blog post on supporting future professionals was a good step, and Kathleen Roe’s plenary speech at MARAC in Rochester was a fiery call to arms to stick up for ourselves. The existence of a Students and New Archivists Roundtable, as well as the baby steps towards support groups for mid-career archivists, are great steps in the right direction. But we are the keepers of history, aren’t we? We know the power of symbols, don’t we? When we use a day steeped in the history of the labor movement to promote how we would take care of our stuff in a disaster, we are sending a (however unintentional) message. We’re telling everyone that our stuff is more important than the people who care for it and provide access to it. We know that’s not true- after all, an archives is nothing without an archivist, right? But the public doesn’t. When we prioritize stuff over people, the public just sees the magic of the thing and not the work that went into it. That does us a grave disservice as a profession. So next year, let’s spend May Day talking about archivists. Maybe it will begin as a bunch of individuals outside of SAA’s auspices, and that’s okay. But it’s got to be done somehow. We’re too important not to step into the light.